The seeds of a sustainable construction industry have been sown in North America, and it’s an exciting time to see companies sprout and prepare for the big growth spurt ahead. As builders, architects and component suppliers seek to demystify Passive House not only for their clients but for each other, systems are emerging that break down barriers, giving professionals reliable and credible solutions to historically complex challenges. 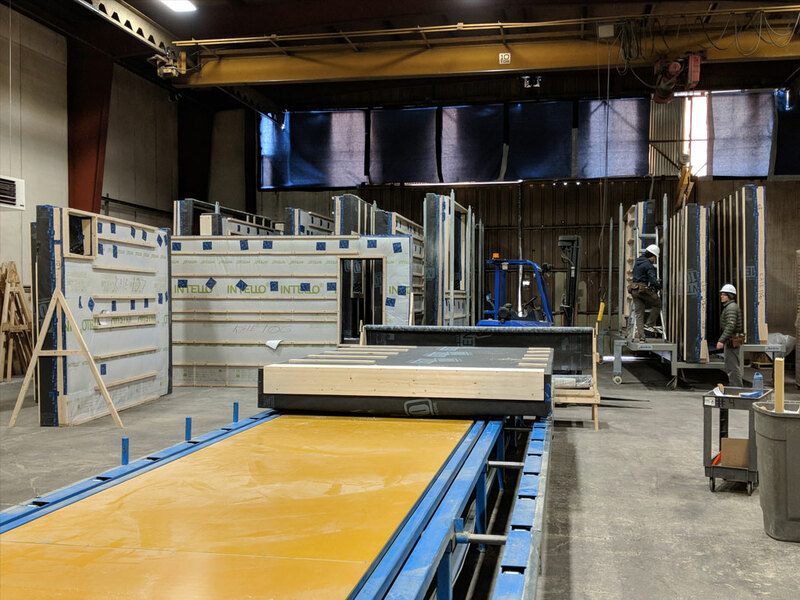 We see a prime example in Phoenix Haus, a pre-fab building company inspired by European wood construction methods and theory, born in Michigan in 2015. After 3 years of projects and iterations, they’ve found a design and approach that balances quality and efficiency, practicality and finesse, dubbed the Alpha System: a solution that reliably delivers high performance and is easy to integrate into the design and construction process. Most recently, they’ve uprooted to Colorado to be near their target market and expand on their mission to encourage sustainable living by creating open-sourced, carbon-free homes assembled by local builders everywhere. Here we discuss the basics of the Alpha System and highlight how one architect integrates this system into his designs. 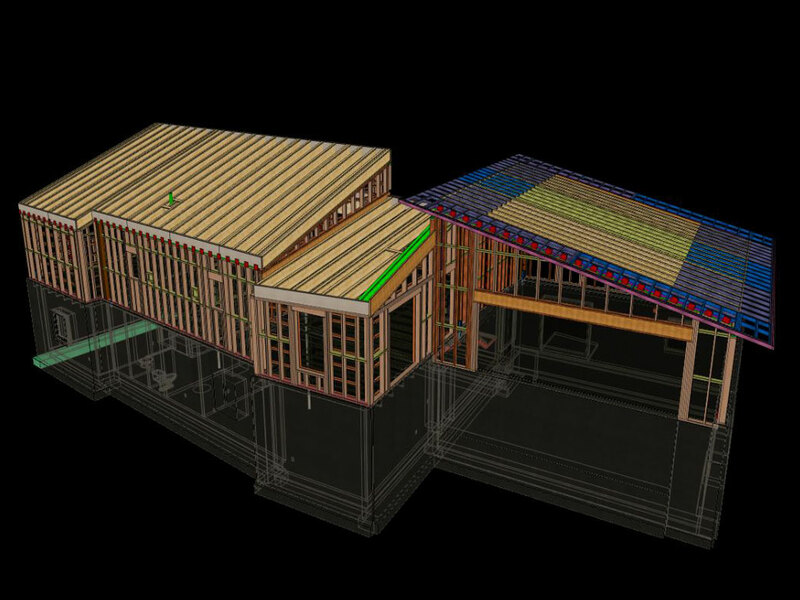 The Passive House Institute-certified Alpha System is a prefabricated, opaque construction system that is the focal point of Phoenix Haus’s strategy. The Alpha System was designed to be manufactured using dimensional, domestic, builder-friendly materials. Phoenix Haus is making efficient building more scalable by removing the hurdles and stumbling blocks of assembly design and clearing the way for their customers to execute a successful project. The challenges and intricacies of thermal bridge detailing, researching and verifying healthy materials, and sourcing windows have all been taken care of. 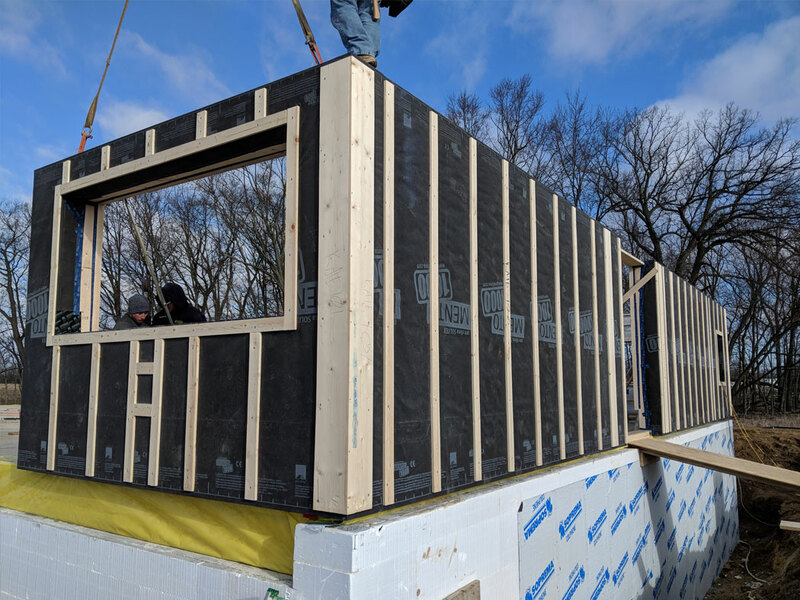 They provide designers and builders with building blocks to complete the entire enclosure, including pre-installed windows, for an air-and-water-tight, Passive House-certifiable structure. Clients have a range of templates to choose from, each pre-designed by vetted building professionals from across the country, and can adjust these templates to fit their project location, site and stylistic preferences. Once a template is chosen and architectural plans are finalized, fabrication begins. The enclosure is delivered to the site, where a local contractor assembles the structure. If they choose, designers and builders are able to become licensed in the Alpha System, granting them access to the open building system and allowing them to specify its standardized elements for future projects. As members of the Haus Network, building professionals are continuously improving these open-source building design systems. The components of the Alpha System are an integral part of the deliverable, included in the certified component detailing through PHI. 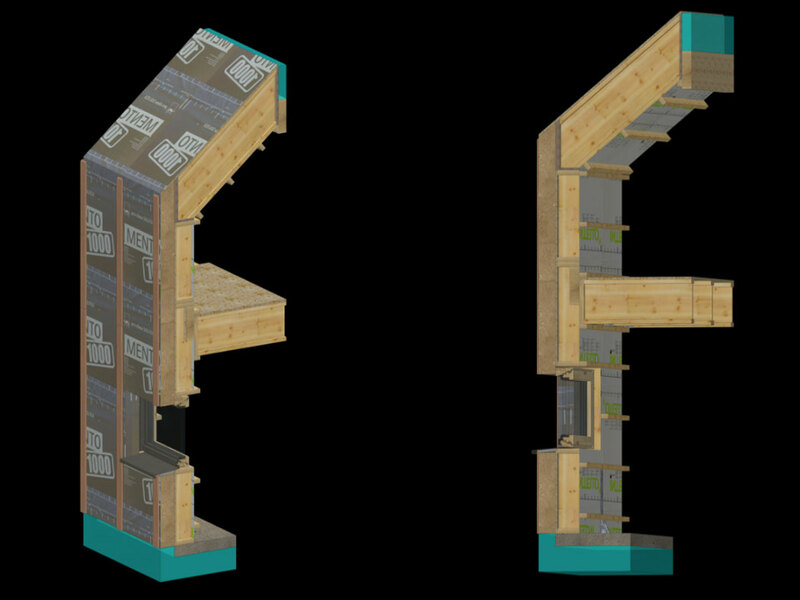 The complete Pro Clima airtightness system allows Phoenix Haus to deliver the highest quality product to homeowners. 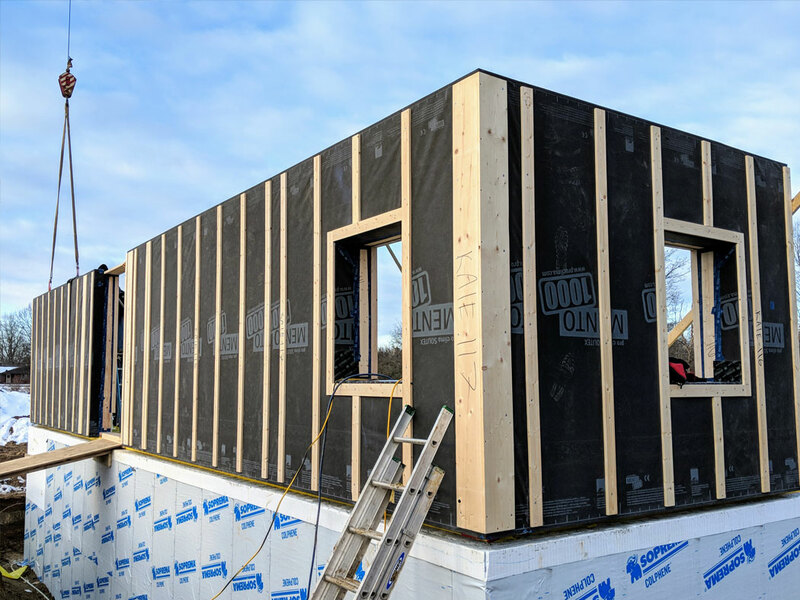 475 is proud to work with Phoenix Haus to provide many of the key components: INTELLO Plus for interior airtightness and vapor control, GUTEX wood fiberboard for continuous exterior insulation and SOLITEX MENTO 1000 for a vapor-open air and weather barrier. Sean Meyers, an architect and Passive House Consultant with the firm CR-Building Performance Specialists (CR-BPS) in Minnesota and Wisconsin, is an excellent example of a professional utilizing Phoenix Haus resources to change the industry. By utilizing component designs that are available for download from Phoenix Haus, he has integrated their system with his own original plans to deliver a new level of performance to his clients. On a recent project in Ely, MN near the Canadian border, Sean was tasked with a small, new lakeside residence with big performance goals. Beyond energy, comfort and health, the client was also highly motivated by material sustainability. The Alpha System allowed CR-BPS to meet the performance requirements of the design utilizing the most sustainable materials on the market while providing proper insulation, air-sealing, water resistance and vapor management required for a durable, resilient and high-performance assembly. Because Alpha System components are produced in a climate-controlled factory setting using precision manufacturing, the short northern Minnesota building season became less of a limiting factor for the tight turnaround time the project required. For this project, the panels were delivered on a frigid -31 F degree day, when no traditional construction work would be possible, and were erected quickly on site. The project is still currently under construction. 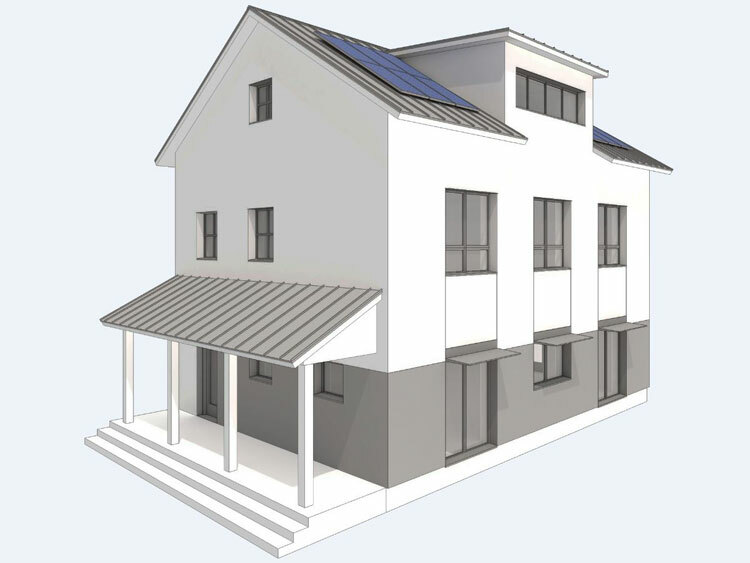 CR-BPS has gone on to partner with Phoenix Haus as part of the Haus Network, offering pre-designed high-performance house plans utilizing passive house principles. The Alpha System as helper CR-BPS drive down construction costs and decrease time on construction schedules, allowing them to bring their high performance designs to a wider audience. For a sneak peek of future projects based on this collaboration between CR-BPS, see The Veblen Haus. It's a template design outfitted with the Alpha System and inspired by the traditional farmhouses scattered throughout the Upper Midwest. Unlike the tech industry that strives to “move fast and break things”, Phoenix Haus is using technology to move fast and fix things. They are constantly working behind the scenes to improve the workflow and execution of high performance construction, and have packaged these improvements in their Alpha System solution. They’ve worked through a world of challenges to pave a new road to accessible, streamlined, sustainable building. Phoenix Haus has managed to be the change they wanted to see in the building world. Look out for more stories on this blog from the job site about designers and builders using the Alpha System in the field. If you're as excited by this idea as we are, we suggest you #BringOneToLife yourself.